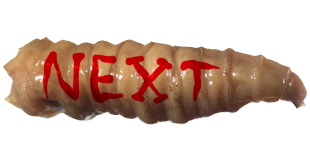 While Target has almost never exceeded that year they were selling Magnificent Maggots over a decade ago, it has always been one of the star players of Halloween fun, and it feels like I've called the last several years their "best yet" in a row. Well, this is their best yet. Again. 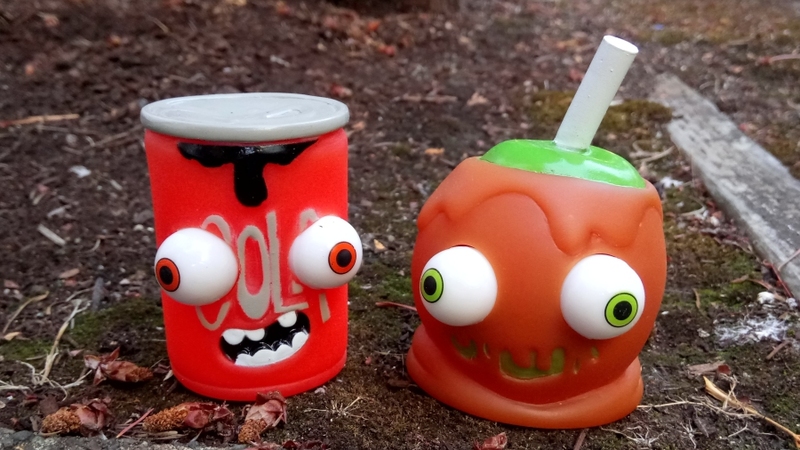 Let's start with the smallest items on this list; rubber candy monsters with pop-out eyeballs! A cupcake and candy corn also exist, but the gooey candy apple is easily the coolest, and I got the soda because I didn't want my candy apple to be lonely. My only criticism is that, like many toys of this type, you have to squeeze them pretty hard to pop their eyes out even as far as we see here. These toys should usually be made of a thinner, flimsier material than this, which makes it a lot easier and more satisfying to pump their eyes in and out. 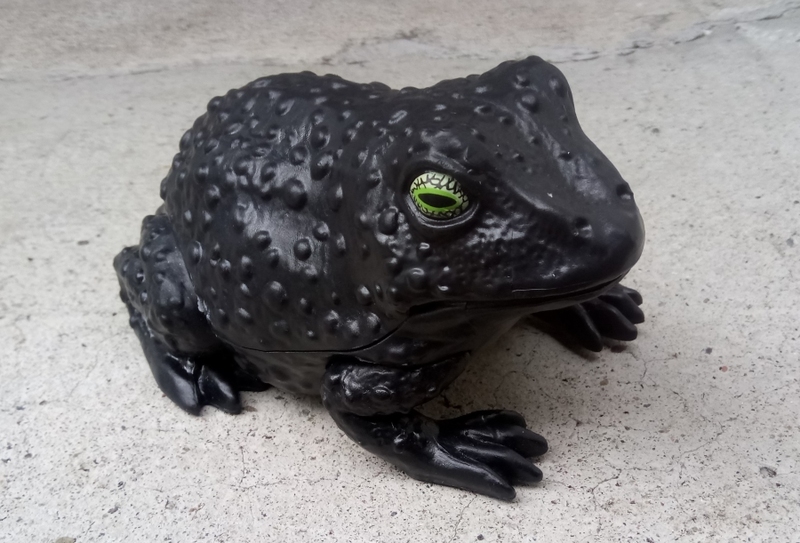 Three dollars is a little steep for this, honestly, but it was hard to resist a hard, black plastic toad with accurately weird toadley eyes. What's not to love, other than an actual real toad? 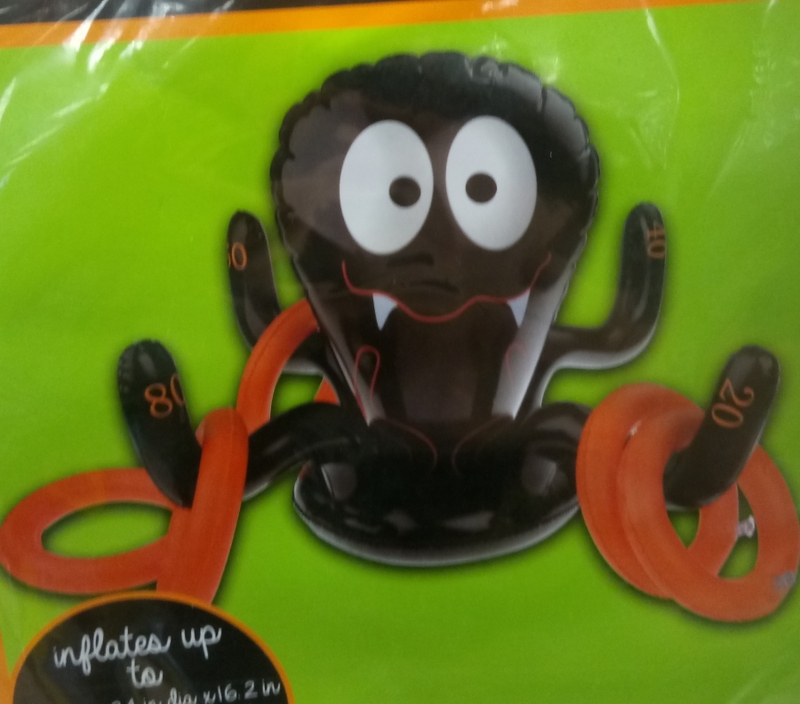 This inflatable ring toss game from the bargain section would definitely qualify as a Heebie Jeebie, but what's most interesting about it is that it's really an inflatable octopus game I've seen a couple times as a summer item, redecorated into a Halloween "spider." They are, of course, similar enough animals in principle; saclike body, eight limbs, ability to entangle prey in some fashion, and did you know that actually almost all octopuses have a venomous bite?? It's not just the infamous blue-ringed octopus! Their venom just isn't usually strong enough for humans to notice, so again, also just like spiders! Here begins the great stuff at Target this year; the stuff I have to show you through video. 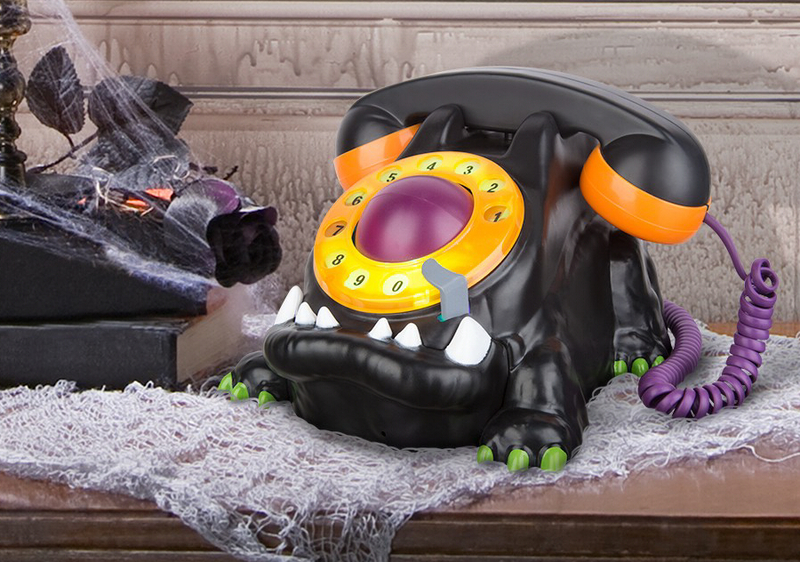 This item comes in the form of either a black cat residing in a human skull, or a reaper inhabiting a pumpkin, and when activated, they wiggle around to the same wonderful tune strongly reminiscent of Grant Kirkhope's tunes for such games as Banjo Kazooie and especially Grabbed by the Ghoulies. 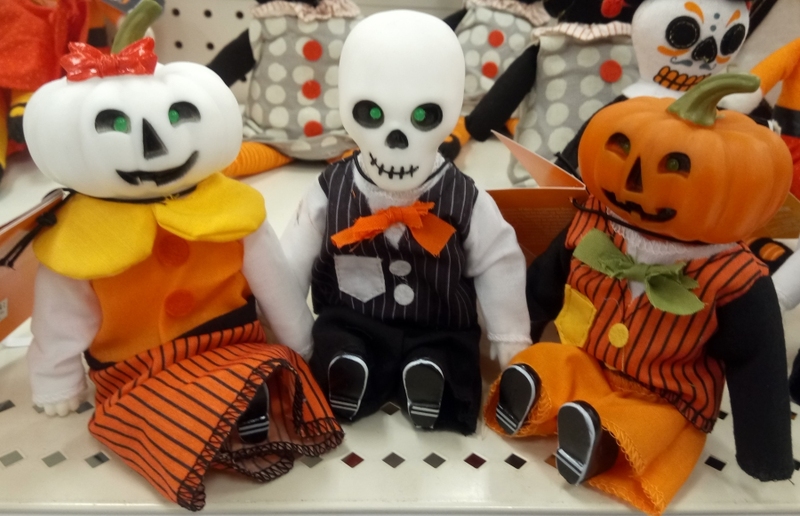 Target unveils new screamer figures every year, but this year, they did something a little different. 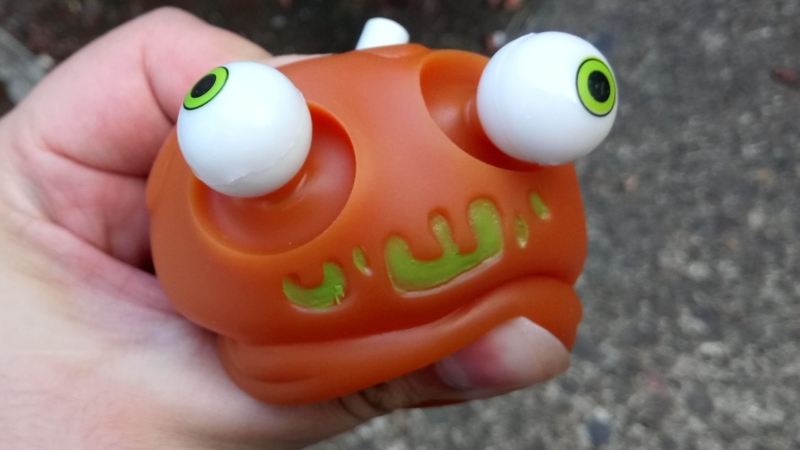 Instead of cackling or shrieking, this is another item that just plays an adorable, spooky tune when squeezed! In addition to this pumpkin girl, there's also a pumpkin boy and skeleton! All play the same little track, but it's a good one. Well, of course these fish are dead! Even one fish can't live happily in just a bowl, unless you somehow have a fish bowl at least several gallons in size with a filtration system, and there's TWO crammed in here! It's no wonder these two would leave behind restless specters, but as fish ghosts, there isn't a lot they can do but swim around a little menacingly, and I assume they're limited to haunting their own "house" like so many other spirits, so you would have to be another fish plopped into the same death trap to experience this particular haunting. Of course the center of the dial is an eyeball, as you could have guessed! The phone only tells jokes about candy or food, rather than anything to do with being a phone or receiving phone calls, and they gave it a wonderful Cookie Monster sort of voice that I'm sure I'd have given it myself. They missed a golden opportunity to do something with that old "is your refrigerator running?" prank call, which even ties in with this little guy's appetite. He could have ended it with "you better let ME catch it!" Right? Am I right??? This thing is HUGE! 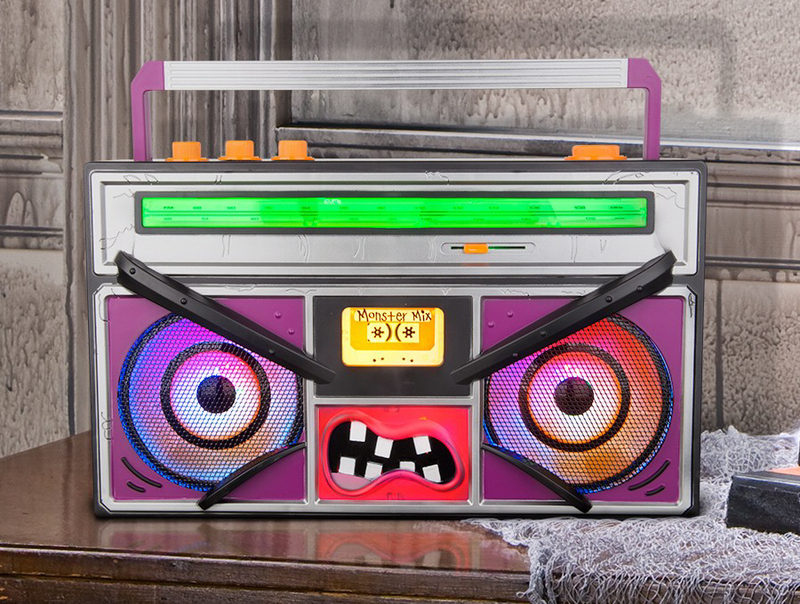 Like the size of an actual 90's style boom box! 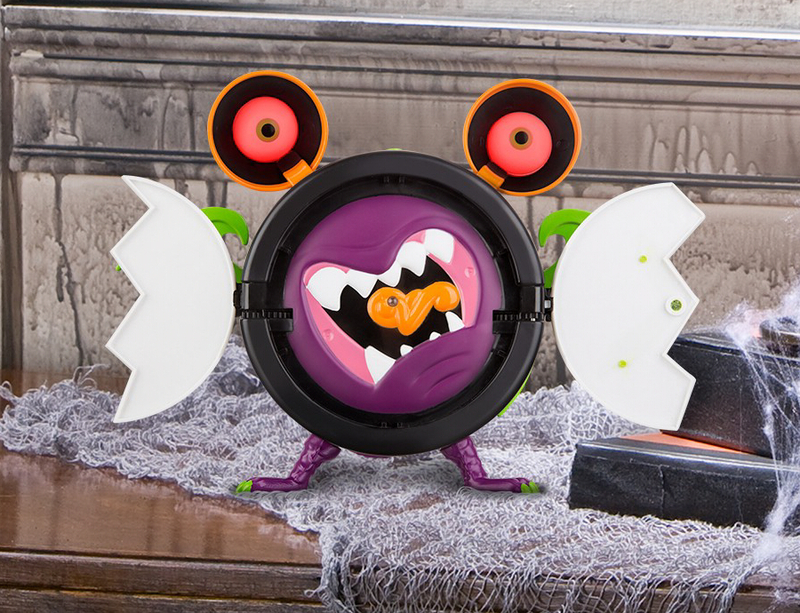 With a lovable, snarling cartoon face and all the spooky colors of the rainbow, it would already look great as just a display item, but of course, it plays sound! Unfortunately, the radio's clips are all just little snippets like this, like someone "flipping stations." The voice clips are cute, but you should NEVER present only a broken piece of a song. You just set people up for disappointment at exactly the moment they might be getting into the groove! Maybe that's part of this phantasm's curse, but they really could have included a set of complete tunes to listen to without really adding to the cost of this thing, already between forty and fifty bucks. I like how all three of these characters have now been household items that existed when I was a child, but are now basically obsolete, retro kitsch. By the rules of cartoon haunted houses, that makes sense; thirty years ago we all saw even more antiquated items in Spooky Manor settings. It also checks out by the rules of Japanese Tsukumogami, or objects that have become monsters once they were abandoned by humans! Sadly, the clock I encountered at our Target was already a little busted, and needed assistance popping open his eyeballs and wings! Lovely assortment of monster parts, though. 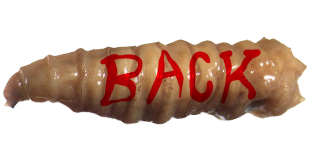 This could have just been a Real Ghostbusters toy back in the day! It might be even more amazing if it actually worked as an alarm clock, but, I'm sure you could rig that up if you were techie enough. Do. You. Have. ANY. Idea. How long. I have wanted. 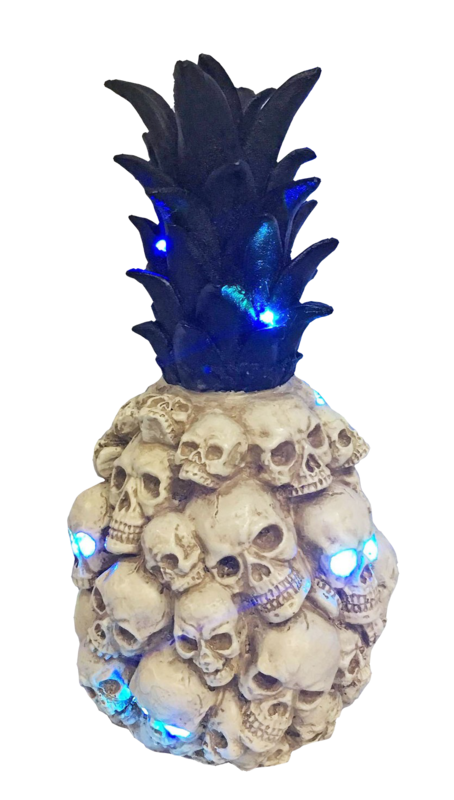 A Halloween item. Exactly like this. ANY kind of "characterized" brain or other body parts in a jar. It's CLASSIC horror iconography, and yet I have spent actual decades waiting expectantly for this day. I should have known it would be Target to finally do it. The ones who gave me a giant, walking rubber maggot almost fifteen years ago. 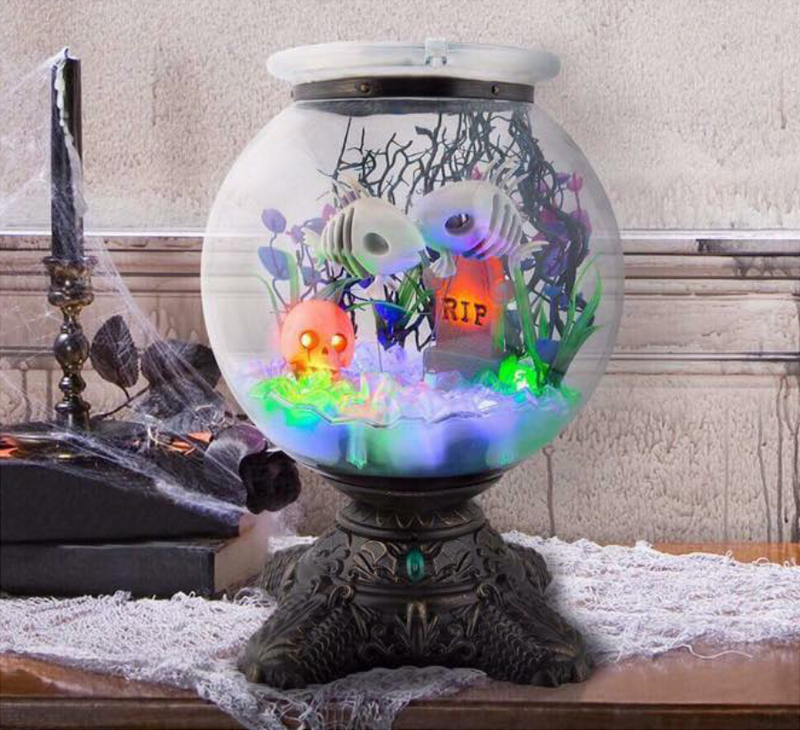 I'd have been happy with just any decorative brain and eyeballs in a tank, but the Talking Cloche' (hey, it taught me a new word!) 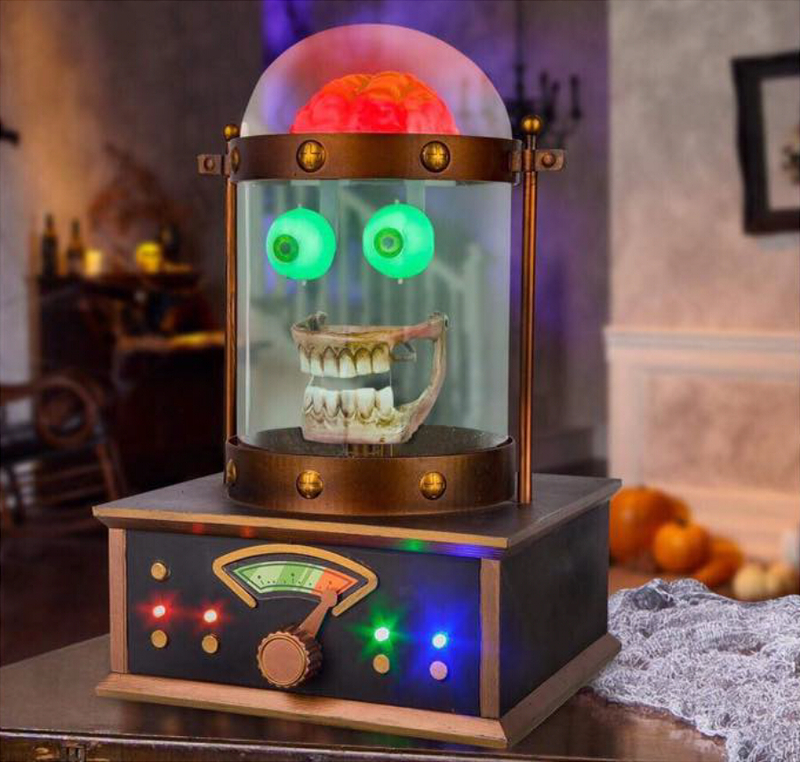 includes a disturbing set of teeth seemingly sliced right out of someone's skull, bone and all, with beautiful fake metal bands and bolts and a base with a FUNCTIONAL dial to control volume! I was so excited to see this on Target.com back in August, I immediately mail ordered one to guarantee I'd get it, not really thinking ahead to the fact that it wouldn't ship to me until it was already shipping to stores...and that our nearest Target is literally next door to the same post office I'd be getting mine from. At least the shipping was free! I didn't even know or necessarily care what this item would say or do when switched on. It could do ANYTHING, or nothing, and it would still be bringing me tears of joy to just exist at all. Wow. Wow. Not at all the personality or voice I expected, and while his personality is a lot goofier than you might think, he ends up being dark as batshit, following every single joke by maniacal laughter even as he's painfully zapped with electricity. He may be funny now, but I feel like he only became such a goofball after many, many years of this tormented existence. At least he's finally happy!